Search volumes are automatically populated and kept up-to-date. Advanced users can add their own search volumes manually, if desired. 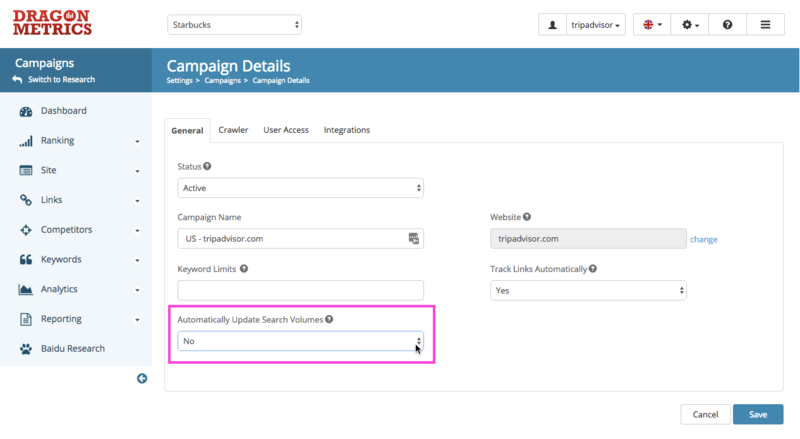 To add search volumes for your keywords manually, you must disable the automatic search volume updates function for the campaign. This option can be found under the General tab of the Campaign Details page for your selected campaign. Choose No under the Automatically update search volumes menu and click Save. 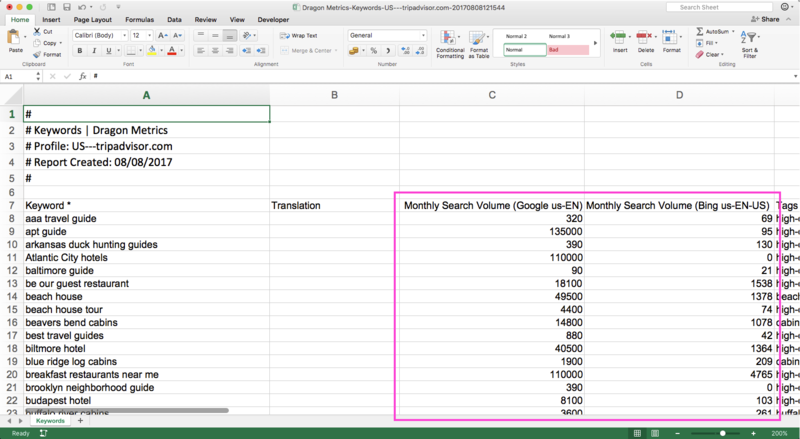 Upon successful Excel upload, all keywords in the Excel file will be visible on the table with their respective fields like Search Volumes, Translations and Tags. Confirm all the information shown in the table and click Save, and we'll overwrite the search volume data that's currently there for each keyword in each search engine with the uploaded Excel file's data.